This post originally ran in The Seattle Times. With the holidays approaching, many are thinking of ways to dress up their dining room for entertaining. Adding or replacing moulding can be a great way to go. 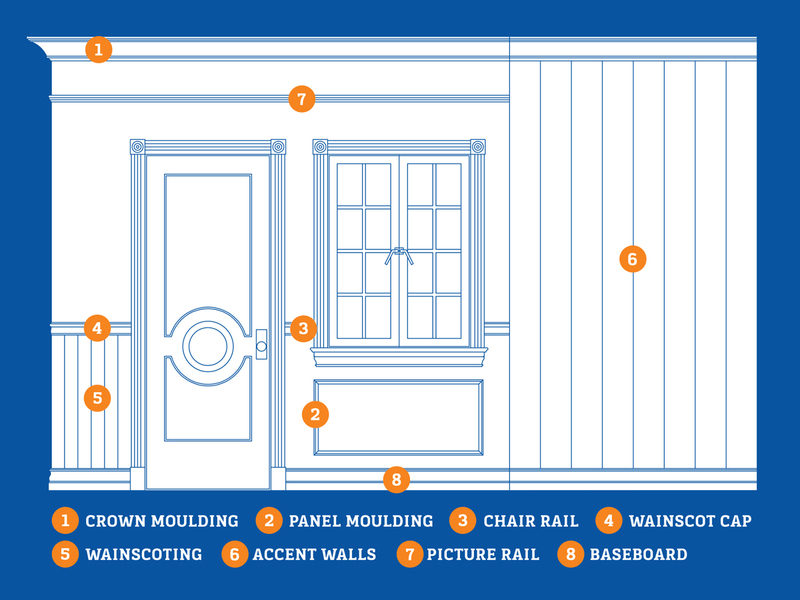 There are a number of ways to bring moulding into your dining or living room (we like to look to Metrie for inspiration)—choose one or more of these popular options to quickly and easily dress things up. Crown moulding is applied where the top of the wall meets the ceiling. Large crown mouldings in particular are on trend and give great visual impact. Installation is relatively easy—the corners are the toughest part—but online tutorials can really help out here. Traditionally, panel moulding is used on walls to create relief and interest. Frames made of moulding attach simply to walls and can be placed on the lower part of a wall (much like traditional wainscoting), upper area of a wall, or it can extend nearly all the way from the baseboard to the ceiling. The choice is yours. You can also decide if you want to paint the rectangles to match the room or use a contrasting color to have them pop off the wall and add some pleasing contrast. It’s also worth considering adding a frame of panel moulding around a light fixture, too—it breaks up a flat ceiling without adding too much to the wall. The horizontal moulding found partway up the wall is called chair rail—right about where a chair would hit if you backed it up against the wall. A typical height for a chair rail is one-third up the wall— that’s 32” if you have a standard 8’ ceiling. Consider painting different wall colors above and below the chair rail. A wainscot cap is very similar in application to the chair rail. It runs horizontally in the same place as a chair rail, but generally has a smaller profile. You can use it alone, or with wainscoting below the cap. This is one you’re likely familiar with. Tongue-and-groove paneling can be installed partway up a wall and capped with a horizontal moulding such as the wainscot cap mentioned above. You can also use shiplap boards for a slightly less traditional approach—the groove at the joint adds visual interest to the wall. There are other options you can use, and you can always customize the look even more when you install them vertically, horizontally, or on the bias. Wood-panel accent walls are showing up more and more these days. In this type of accent wall, tongue-and-groove boards are glued or tacked in place and act as a focal point. These boards can be purchased pre-finished (think reclaimed wood, weathered wood, colored wood) or raw—meaning you can stain or paint it for a look that’s exactly yours. This type of moulding was originally named after its purpose: to hang pictures on wires from it. Today, it’s used as a transition strip located midpoint up the wall. It can be used alone about two-thirds of the way up, or used to frame paneling, wallpaper, or fabric. It’s one of the easiest and least expensive ways to elevate the look of a wall. Baseboard is often overlooked, but replacing the board around the perimeter of the room (where the wall meets the floor) can be an easy way to change a room visually. Styles range from simple boards (with or without grooves) to baseboards with concave and convex curves. No matter the type of moulding, there are a variety of styles, wood species, and colors. 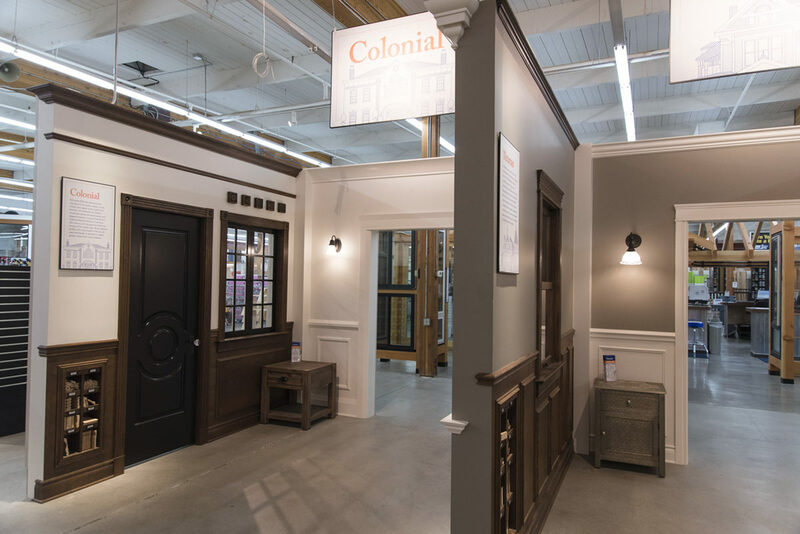 Whether you like a simple farmhouse look, a chic modern aesthetic, or ornate patterns—you can find a look that fits your taste and budget. 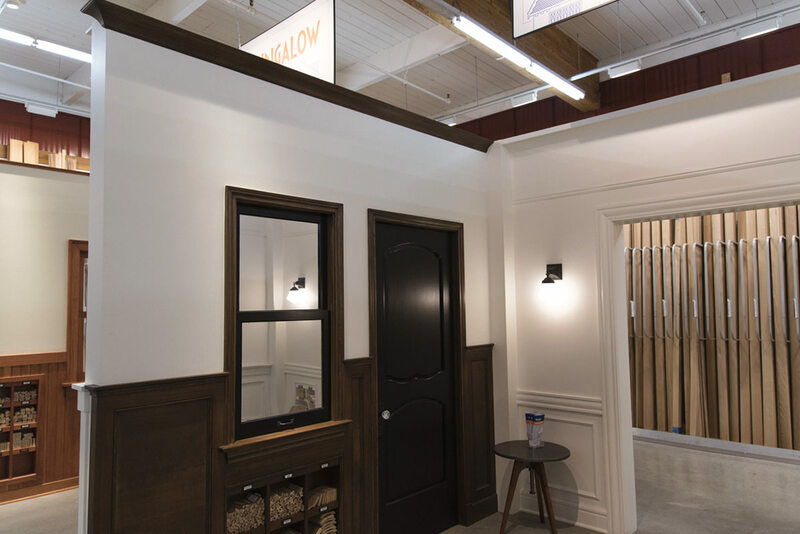 Moulding is a great solution whether you're accenting a wall, enhancing a room, or upgrading your entire home. Ready to build a new deck? We're offering some tips, information, and resources to help you produce lasting results.